Ok lets start from old and existing signage : I get asked alot can we reuse the old signage panels to save on cost. Most of the time the answer is "NO" This is because if the signage has been on the building for a few years the materials that were used to make up the artwork are now well bonded to your sign panels(substrate). To remove the vinyls from the panels would take alot of labour and eventually may out weigh the cost of the new signs. Once the sign vinyls are bonded to the panel and exposed to heat & cold including external contaminants like dirt and vehicle exhaust this can make it difficult overtime to remove without damaging the surface of the panel. Panel paint damage and ghosting of old artwork may still be evident even after removing old artwork. Ghosting is when old artwork can be still seen well after the artwork has been removed, this is due UV rays fading the panel colour around the artwork or the chemical from the vinyl adhesive have etched into the paint on the sign panel leaving a ghostly oultine. In this case removal of old sign panels would be the best option if you want the building signs to look clean, fresh and vibrant. How signage is vital for your business. Signage is one of the most inexpensive but yet powerful sources of advertising medium available but yet it is constantly taken for granted. Many business owners do not have signage as part of their business models or their advertising budgets; signage is the last thing they think of. I have lost count of the amount of times I have been called up to create, manufacture and install signage a week or two before the client opens their doors for business. Your business signage is not just a street directory it is a reflection of your business, product and yourself. When a potential customer drives or walks past your store you have about 3 seconds to convey to the customer who you are, what you do and what you sell. The potential customer has to be able to read clearly all those things before they may decide to come in. Effective signs must be visible and conspicuously call attention to the business. Advertising in newspapers or in magazines may be effective but they all come at great cost. The potential customer than has to make their way to your store assuming your advertisement was successful in attracting the customer; they also have to find your store. If you are in a great location where drive by traffic is high, half the job is already done. The potential customer is already driving or walking past your door step, this is where great signage can potentially lead to greater profitability. Unless you are a major corporation or an extremely successful large business you probably cannot afford to advertise 365 days a year 24hrs a day can you? Signage will give you exposure for 365 days a year 24hrs a day it is a permanent inexpensive way to advertise. Take time to think how you want your business and products / services portrayed in signage and how you want your customers to perceive your business in the 3 seconds they go by your store. Get your message across clearly. Common problems include too many signs, ambiguous or misleading messages, spelling errors or signs that are difficult to read. If you are in an area where there is a lot of signage, make your signage stand out don’t get lost amongst the masses. If you have invested in a great location, you must take advantage of this opportunity to promote your business and let it be known you are there. Until now we have been only discussing shop front advertising. To increase your exposure even more vehicle graphics and wraps are a cost effective form of advertising with a potentially large return. Any business that does not utilize its vehicles is missing out on a superb way to reach new customers. An advert in any online or telephone directory only reaches the people that are specifically searching for your product, but a company vehicle is seen by hundreds and possibly thousands of people every single day. With more vehicles being supplied on lease contracts, imagine how many potential new customers would see your ‘advert’ over the course of a year. Promotional signage including A-boards, swing signs, window graphics and floor graphics are also very effective to get your business noticed. This type of signage is ideal for use when trying to attract passing trade from the general public. Many newsagents, estate agents and travel agents use pavement signs to show their latest offers or best deals. The list of signage possibilities go on and on but your choice of signage doesn’t need to be that difficult. Call our friendly team at Avanti Signs and we can offer you the best solutions based on your specific needs. We also have a graphic design team that can help with logo and graphics creation. Please read our types of signage page to get a better understanding of the type of signs available and the effect they can have on your business. So…you’ve decided to start up a business, or have already done so, then you know very well that business trade is a very competitive environment. Once you have decided to step into the world of commerce, you need to devise ways on how to stand out among the many competitors that you have within your industry. People are craving for something that is new to them, something that would stir up their interest on why they should choose your establishment amongst the sea of enterprises that are available to suit their needs. One of the most compelling and reliable solution that you can use for a cost effective and creative strategy is signage. Signs are graphical representations, typically created to lead people to places such as streets or inside/outside of buildings, in this case, business establishments. Signs perform three major communication functions in your business: they give information, direction and provide a format for street advertising, and most important of all, it creates and builds your image. Signage comes in various varieties and commercial signs are there to identify and attract customers to one’s business, being a shop, building or vehicle signage. Since the earlier times in trade, business owners have always relied on good signage, acknowledging it as a powerful and promising advertising medium that will attract and influence customer buying decisions and purchases. Avanti Signs, one of the leading designer and manufacturer of traditional and digital signage’s, is just what you need to create the right impression and maximize impact for your company, product or services. Through our years of operation, we have continuously providing businesses with not only exceptional, innovative and creative solutions but also the opportunity to give your business the best competitive marketing edge. The use of new media gives you more exciting ways to express yourself and Avanti Signs graphic designers offer a complete new concept in rebrand your old image or creating something brand new? We will avail to you the latest available technologies, targeted marketing strategies, yet practical, imaginative solutions of unsurpassed quality in the most cost effective manner to suit your advertising budget. However, as the signage industry increases in size and the demand for more sophisticated signage systems emerges, you must have access to Avanti Signs proven cutting edge technologies, it will be essential for the success of your business. Nothing compliments your company image more than high quality signage, whether it is inside or outside your business premises. With everybody trying to compete for new customers, it’s very important that you differentiate yourself from the competition. Shop signage, window etching, vehicle graphics, vehicle signage, window signs, metal signs, wide format digital printing, vinyl cut lettering etc are just some of the services we have available to ensure that your business will stand out from your competitors. Our services also include digital printed business cards, stickers, and festive decorations, Aboards, banners, billboards, light boxes and hanging signs that when used correctly will accentuate the full range of services and products that you can showcase to your potential new customer. Now after giving you the advantages of having great stand out signage, you probably are on the verge of deciding what is the best style of signage that will suit my business, the answer is call Avanti Signs’ and we will assist you by designing the best promotional signage to suit your business services? Each of our workshops offers fast and friendly local services from business cards to wide digital printed signage, we’ve got all your advertising requirements covered. 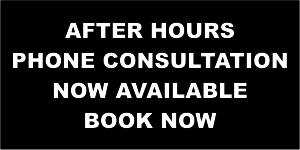 Call 0432 348 819 today to organize an onsite consultation or e-mail our office at: sales@avantisigns.com for more information. Avanti Signs we move your business forward. Not long ago, classified ads, yellow pages, magazine, and newspaper ads were the most effective and definitely attracted customer’s attention. What do these industries have in common? Trains, Locomotives, Newspaper / Publishing and Manufacturing? They all missed the massive shift in their industry and rather than capitalize on it, they were crushed by it. Here’s how it happened, newspaper / print, now Internet and Electronic Readers, train / locomotive then Cars and Trucks came along. Local Manufacturing was completed in house, now most manufacturing is done offshore in developing countries. This can happen to you too if you are depending on old media style results. Businesses that are relying on the old media as their advertising weapons are being left behind by their competitors, that are now using the new super weapon known as online internet marketing for local business. How did this happen? The old style media used to be so effective, why not now? There is one simple reason that your customers, no longer depend on the old media it’s called the internet and search engines it will not matter who they are or what their status in life is, they have become part of the internet world’s marketing revolution. They basically rely on today’s benefits and offers with the use of new technology. Today’s successful businesses’ secret weapon: is internet online marketing. This makes the businesses visible and just a click away. Your businesses’ websites must be visible in the search results for the contents. But, the world has evolved into yet another revolution. The video revolution has made information more accessible than it used to be. People now want to view online videos for their business preference. Studies have shown that 26 Billion videos are viewed online in the U.S alone. And, online video is more than 60% of all internet traffic. It is proven that Youtube is now already ranked 4th in the leading search engines. The number of online video viewers worldwide continues to expand. Mobile phone marketing has also reached its high potential when it comes to internet accessibility. There are 4 times more mobile phone users than internet users nowadays. Now, 33% of the manufactured cell phones are proven to be using a high speed of data services. Thus, it makes researching the internet very accessible to many users, that have these mobile phones particularly the Blackberry, iPhone, ipad and Android. To prove this, there are a total of over 1 Million iphone applications have been downloaded. The apple iTunes application download has increased to over 300,000. And, blackberry and Android already have online application downloads. These things make the mobile phone market a major marketing strategy that can lead to high revenue for any business that is benefiting from online marketing exposure. Mobile media is so important for your business because it has a 10 times higher click through rate than any other online advertising. Brand advertising makes the customers and viewers more likely to try your product or services. In mobile advertising there’s a 6 times higher aim of purchasing with online traffic. In this case, the mobile phone market has just made a breakthrough when it comes to business advertising strategies. This means that you must be featured online where your customers can find you at anytime. You have to be online and your site must be phone compatible. Having a webpage will not guarantee your visibility to everyone. You will have to take the plunge and implement the steps that will give you an online presence that will make it easier for customers to find you. As you read this, videos are now the number 1 choice that customers use for gaining information. Videos are listed in the search engines directories. Local businesses are also shown in the directory listings. Customers now research online for the business that stands out from its competitors! This is achieved by having free information available and samples of products or services, by giving you help build a relationship with potential customers that over time will purchase your products? 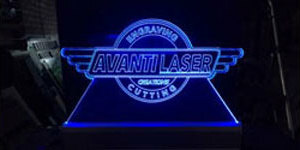 Avanti Signs can assist you in choosing the best options for your business to capitalize on this secret weapon. We will create the online presence that will brand your business as the industry leaders, that people prefer doing business with? We will advise you on the best marketing strategies for implementation in your business. We will make you short videos and submit articles that coincides to your customers needs. We will lead you towards lead capture campaigns for your business. We will then set up your customer follow up campaign so you will not lose contact with your current customers. You will be featured in the local search directories, and it doesn’t end there; we will create a total high visibility web presence which will incorporate social media, smart phones and video blogs etc this will create the dominating website that your business must have to compete in today’s market place. We also offer our customers special packages, and, here comes the best news. We will only work with one business in each business category in your market place. This will protect your investment and create the foundations for a long satisfying working relationship for all participants. This could be the opportunity to take that huge stride and propel your business into the internet new age revolution! Call us today. 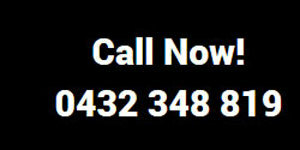 Call AVANTI SIGNS 0432 348 819 on next business venture for some no obligation free advice.